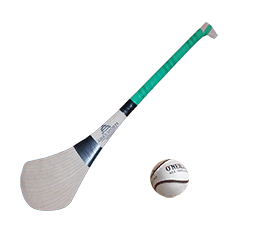 O’Dwyers GAA is a 100 year old Gaelic Athletic Association Club based at Hamlet Lane, Balbriggan, County Dublin, Ireland, serving the communities of Balbriggan, Balrothery, Balscadden and surrounding areas. Our club colours are green and white our principal grounds is at Bremore Park. As with most GAA Clubs, geographical proximity is a significant determinant of the membership and attractiveness of our club. Our catchment area stretches from Balscadden in the north of the town of Balbriggan to Balrothery in the south of the town. We have over 700 registered members and we field close on 50 teams to compete in football, hurling and camogie at both juvenile and adult levels. The Club caters for juvenile and adults players and is always looking for new members. The Club offers sport in football, hurling and Ladies football along with vibrant nursery academy which caters for boys and girls up to the age of six. At Adult level, the Club has one football team competing in both AFL5 and the Dublin Intermediate Football Championship and one junior hurling team (AHL9). Notable players from the past include John O’Leary, Stephen Rooney and George Wilson, who are former Dublin Inter-County footballers. Our vision is that everybody has the opportunity to be welcomed to take part in our games, club and culture and to participate fully to grow, develop and have fun in our club and association. As part of our vision the core Mission of our Club is to promote the development and playing of Gaelic Games in our Community. To be a uniting force in the Parish, and to encourage the participation of all sectors of our Community in our sporting, cultural and social activities. To support the development of our members in an environment of sportsmanship, inclusiveness, mutual respect and social responsibility. Facilitate the participation of all ages and abilities in our games and other activities, and encourage them all to achieve their full potential.